Kids love to play outside at night, especially if it is something that they don’t usually do. 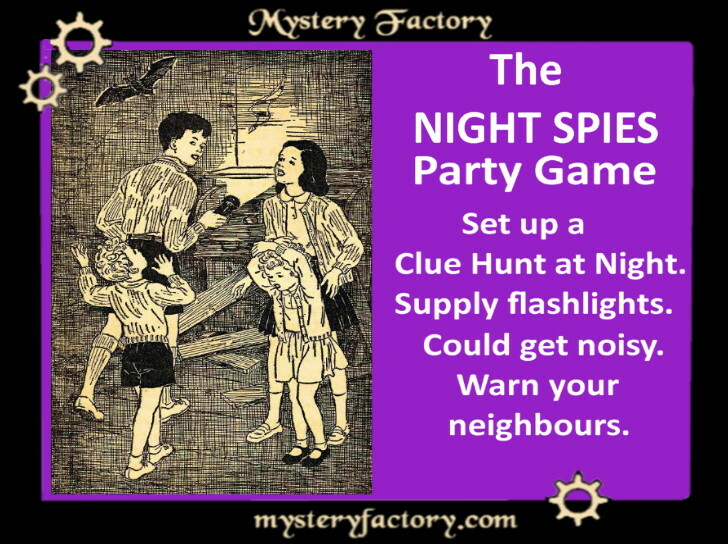 Spice up your child’s party by designing a Clue Hunt and then playing the game at night. This is something that you should set up in daylight, in your yard, a day or two ahead of time so that you can play it yourself first and make sure that there aren’t any unexpected tricky bits or hazards. Is there a tree stump that can be tripped over? Flag it. Give the spies flashlights. Play as singles, with a partner, or in teams depending on the age of the children involved. Fun for a summer camp or family reunion as well.